Today's card was made while having fun with watercolors. I cut the vertical strip with a Lil Inkers diagonal stitched die, and made the large butterfly with MB Vivienne and Darla dies. The smaller butterflies were done with 2 sizes of Punch-a-Bunch punches. 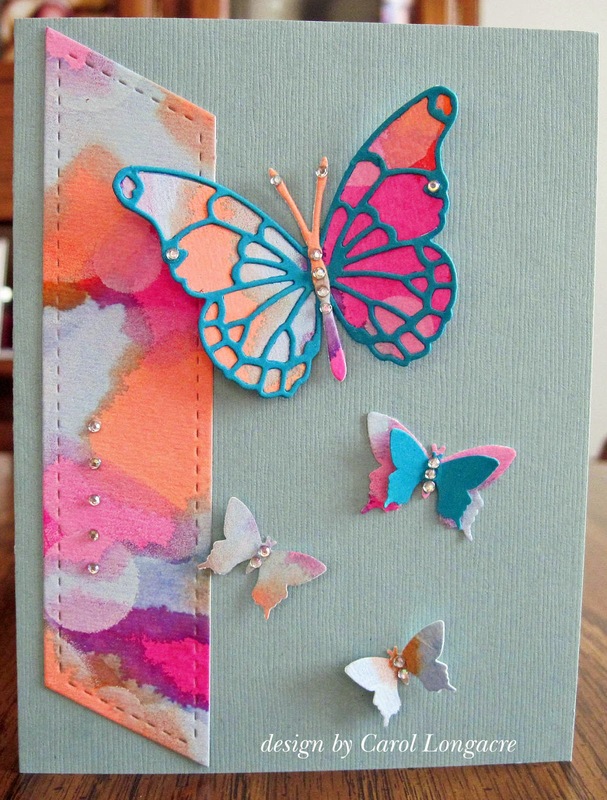 I used some turquoise cardstock to accent the butterflies and used a piece of light mint textured cardstock for the base. The final touch was to add lots of bling to finish this card. I didn't add a sentiment yet because I think it can be used for almost any occasion. I'm also sharing this over at the Snippets Playground #175/76. Have a great Thursday, and thanks for stopping by! A pretty card Carol, such beautiful colours and lovely butterflies. Just gorgeous. I know I use that word quite often with commenting on your cards, but I can't help it as they are just gorgeous. What else can I say? Enjoy the day. Beautiful! Love your watercoloring on this Carol. The butterflies are awesome. Fabulous bright colours, Carol!! These butterflies looks great and the diagonal stitched stripe is so pretty! Very, very pretty, Carol! I like the way you used the stitched die. Absolutely fabulous Carol! 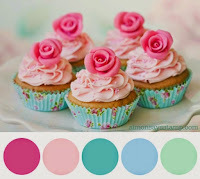 I do so love the colours you used and such a lovely design too. I like your mish mash of water colored colors. They go together so well. This card is quite stunning. I don't know how I missed this one yesterday, it's beautiful. The colours are so pretty and I love the touch of turquoise which adds a nice bit of contrast. I love your card. The large butterfly is just beautiful. Where can I find that large butterfly? Beautiful card! So colorful! Love the butterflies!